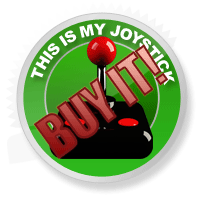 Darksiders II Review - This Is My Joystick! Death waits for no man. It can’t be outrun. It can’t be outsmarted. There is nowhere to hide. The representation of the Grim Reaper varies from place to place; both appearance and attitude are depicted differently by culture, race and imagination. This is as true of the protagonist of Vigil Game’s Darksiders II as anywhere else. As such, there is no right or wrong way to see the world’s most feared executioner. We’re unified in our belief that the Reaper walks a path of destruction, leaving nothing alive in its wake, and that’s all that matters. Thankfully for THQ, however, the path set before us in Darksiders 2 is one we will all want to walk and see through to its conclusion. Darksiders 2 takes place during the same timeline as Darksiders 1. After Death’s brother War is cast back down to earth by the Charred Council, punished for starting the apocalypse early, Death comes to Earth at the same time and takes matters into his own hands. Death seeks to bring balance once more and acquit his brother of the crimes he is accused of, even though he cares little for the human life on the verge of extinction. To aid him in his quest, Death travels to the Nether Realms, hidden in plain sight between heaven and hell, to seek help from an ancient giant-like race. Will justice be upheld? In terms of gamplay, Darksiders 2 has moved on massively from Darksiders 1. Firstly, the character of Death is much more adept in battle. The combat in Darksiders 2 borrows heavily from the likes of Ninja Gaiden and Devil May Cry, and works amazingly well, despite the heavy RPG setting of the game. Death has a range of combos he can use in battle; dual-weapons, secondary weapons, jumping slashes, even gunfire from horseback. Death can also learn new fighting abilities as he goes by spending the cash he collects from fallen enemies and treasure chests. In truth, the combat is so good in Darksiders 2, that it actually makes the earlier released Ninja Gaiden 3 look like a poor imitator. Nothing beats a swift kick to the chops. There’s also a strong WoW-type presence to the gameplay. In addition to the opening area having more than a passing resemblance to the Howling Fjord, Death can swap out armor items, and develop himself between two talent trees. One tree is focused on creating a horde of Ghouls to fight by the Reaper’s side, and developing secondary aid. The other is to develop Death’s ‘Reaper Form’, and the power of our protagonist. The Reaper form allows Death to don the cowl and cape, and slice and dice his foes into meat chunks. The Reaper Form develops when Death kills enemies and collects their essence. After a certain amount of essences have been collected, a meter fills, and once it does Death can go to town. However, the Reaper Form only lasts a limited time, and so should be used wisely. Players will also notice some slightly more subtle changes. When in dungeons, they can jump out at anytime, and fast travel to a previously met vendor to purchase potions, armor and other things. When players leave the dungeon, they leave an imprint there which enables them to travel back to the exact same spot they were in without having to reset the entire dungeon. Taking note, Nintendo? There is also more of an emphasis on the dialogue tree, adding in further conversation choices, enabling Death to obtain Secondary Quests from NPCs in order to get new weapons, items and more. 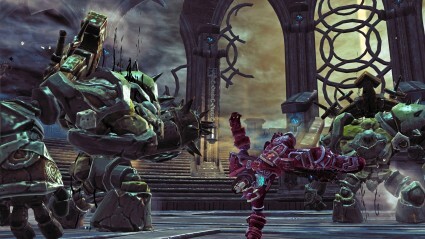 As you may have gathered, Darksiders 2 is a much bigger game than its predecessor, and better in most every single way. Darksiders 2 uses the same in-house engine as before, yet it looks more vibrant and appetising to the eye than ever. While many would assume environments surrounding Death would be dull and gray, Darksiders 2 heads to the great outdoors, and observes sun-setting skies, and large, beautifully detail structures. Even the dungeons open out at beautiful views. Now aren't you a devilishly handsome chap? Death is as menacing and chilling to look at as any protagonist we’ve been asked to control. He is a total package; relishing in his own bone-dry sense of humor, at the same time as bearing his teeth with savage intensity. Death is a multi-layered, intricate character with an interesting and engaging story to tell. One that will keep you glued to the screen from beginning to end. The sweeping score in Darksiders 2 is inspired by many composers, but also includes many tunes from Assassin’s Creed composer, Jesper Kyd. He manages to capture the fantastical mood of the game perfectly, each tune delicately suited to the landscape. The score is haunting, hard-hitting, powerful, emotional and tense. Players will sit through an emotional rollercoaster from start to finish. Perhaps the best news, however, is that of actor, Michael Wincott, playing the role of Death. Best known as Guy of Gisbourne in Robin Hood: Prince of Thieves and Top Dollar in The Crow, Wincott has the absolute perfect tone for Death. Listening to him for the very first time, you’ll be hard-pressed to think of anyone who could do a better job. His journey through the script is some of the best I’ve heard, and may well serve him up an award come year’s end. See you in the Afterlife? Darksiders was a good game. Solid, well-rounded, competent and entertaining throughout. While I could have asked for more, I was satisfied enough by the game’s content that I would have been happy with more of the same. I didn’t need more, but that’s exactly what Vigil Games have given me. Darksiders II is exactly the evolution the series needed to go from being good to great. From a niche franchise, to an infamous, crown jewel AAA saga. We’ve had a lot of great games in 2012 and there’s still many more to come, so perhaps it’s premature to label Darksiders 2 ‘the best’ just yet. What I can say is that this game takes the best of every play style, stitches it all together with one of the most engaging narratives we’ve seen this year and presents it as masterfully as any other game this generation. It’s no secret that THQ need a hit having lost licenses and cancelled major projects. I believe that Darksiders 2 is their salvation, and, arguably, the greatest risk they’ve ever taken. A risk that, unquestionably, deserves to be their greatest success.